The Philadelphia Fury is pleased to announce it's summer training camp, in partnership with Washington Township Soccer Club. 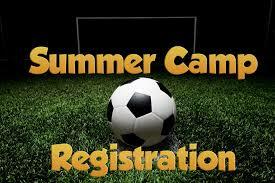 Our FUNdamentals camp is aimed at young players just beginning their soccer development. Our aim is to develop their soccer skills through games and activities. Our technical development camp is aimed at young players with some soccer experience. We aim to improve the key technical aspects of the game. E.g. passing,dribbling, shooting.